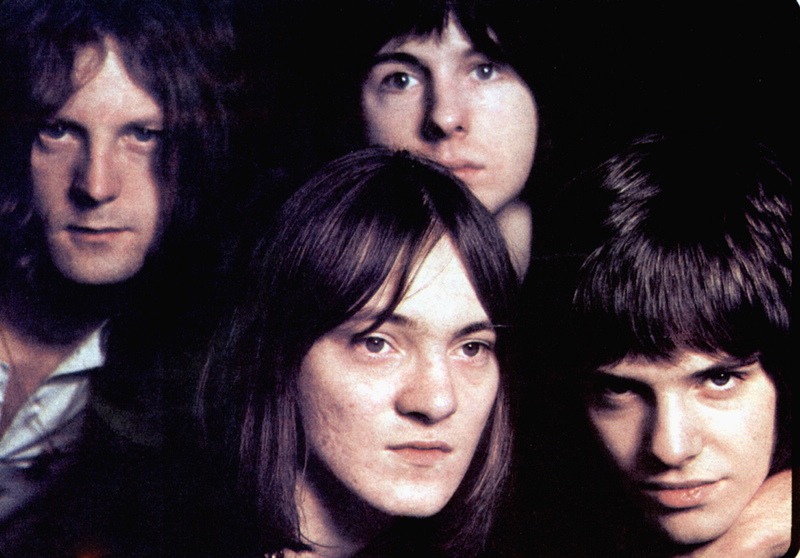 Humble Pie was formed in 1969 by Steve Marriott after his departure from Small Faces. Marriott was lead vocals and guitar, Peter Frampton also was on guitar/vocals, Greg Ridley on Bass, and Jerry Shirley on drums. Their second album, Town and Country (1969), was a slight departure from their original metal style. This album was more acoustic, including a masterful re-worked “For Your Love,” by Graham Gouldman. Steve Marriott’s vocals have long been underrated. He seems to be a step above Robert Plant or Rod Stewart, his vocals are equally beautiful- but they have a different feeling. Marriott’s sound has a grittier undertone. His voice reaches high notes but makes you feel lower than a Zeppelin-esque ballad. For the band’s stripped down “For Your Love” cover, they performed in a very Spartan manner on the Beat Club, in January 1970. The band sat on chairs, steps, and on the floor- surrounded by studio equipment. Really, what else do you need when you have superseding talent like Humble Pie? This cover is absolutely haunting. Straying from the upbeat original version, this “For Your Love” is the sound of heart ache. The bongos never sounded so sorrowful, and it worked perfectly into the track. You can really feel the emotion in the lyrics when Marriott sings them. There’s a vibe of absolute despair and hopelessness that the original didn’t touch. Steve Marriott will forever be underrated- but can live on through his genius work.